This week on Ready radio, Doug and Amy are joined by the irrepressible Survivor Jane. Survivor Jane is a star of Twitter and leads the nightly discussion of #preppertalk. 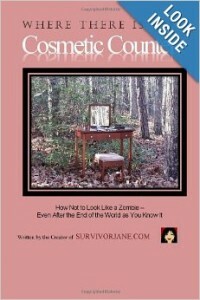 She will be discussing her book “Where There Is No Cosmetic Counter” and picking apart prepping concerns of women. All this and more on Ready Radio!